Smart eBuy accepts orders directly from our website, or by email, by fax, and even by mobile SMS on 24 hours x 7 days basis. All prices listed in this Site are subject to change without notice. GST will be shown separately on the invoice. The amount of GST payable in respect of the supply of the goods is payable by the Customer. No allowance will be made for Input tax, credit or similar credits available to Smart eBuy. The Customer must indemnify Smart eBuy in respect of GST paid and payable by Smart eBuy in respect of the supply of goods to the Customer. Smart eBuy provides order deliveries within Australia ONLY. Whilst Smart eBuy will do our best to meet the Customer’s delivery requirements, the Customer agrees that Smart eBuy will have no liability to the Customer for any failure to meet particular delivery dates, times or other requirements. Smart eBuy chooses Australian Air Express, Star Track Express or other couriers for the delivery services of our printer cartridge orders. The completed orders before 3pm will be dispatched in the same working day. The orders after 3pm or during public holidays will be dispatched in the following working day. Usually the order parcel in less than 5kg needs 1-2 working days to reach major cities by air and more days for a remote area. Those over 5kg parcels need 3-4 working days during the road express transport. A normal successful delivery by any courier can only be made where a signature to verify the delivery can be obtained. However if such the delivery cannot be made as nobody is available to sign in the address specified in the Customer’s order, the courier will leave a note in your mailbox to remind you to pick up the order parcel from your nearest POST. Check the parcel immediately after you've got it. 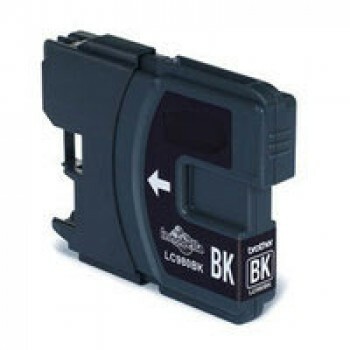 If you find any quality issue related to the cartridges such as leaking or wrong number, please contact SmarteBuy asap for the replacement or other solutions. Smart eBuy will accept a payment by direct deposit, bank transfer, Paypal, cheque or money order, credit card or even fax including the Customer’s credit card details for the payment. Smart eBuy will not be obliged to deliver goods to the Customer until all amounts owing to Smart eBuy by the Customer are paid in full. The risk in the goods supplied passes to the Customer upon the goods leaving Smart eBuy regardless of whether the delivery is organized or paid for by Smart eBuy or the Customer or by any other party. Property in the goods supplied by Smart eBuy will not pass to the Customer upon the Customer until all amounts due and owing by the Customer are paid in full. 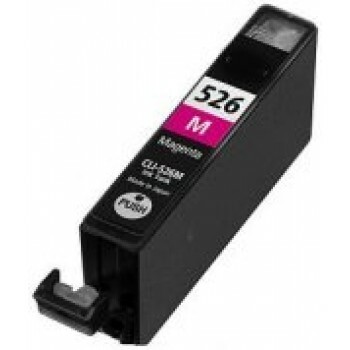 For printer cartridges, normally Smart eBuy do warrantee within three (3) months from the date of purchase. Smart eBuy undertakes, in the unlikely event, to repair any damage to your printer which occurs as a result of using Smart eBuy cartridges in accordance with the instructions supplied by us and the printer manufacturer. 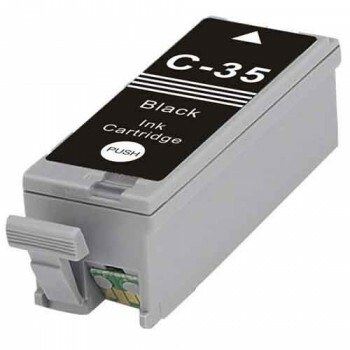 If you believe Smart eBuy cartridges have damaged your printer, you must inform Smart eBuy first. Smart eBuy will organize for an independent assessment and repair if the damage caused by Smart eBuy cartridges. Within the warranty period for printer cartridges stated above, Smart eBuy accepts the Customer’s returns in the circumstance of wrongly order cartridges, changed mind after delivery or faulty cartridges. However, any return must be approved by Smart eBuy first and will be processed within 7 working days upon receiving the order parcel. Also it is the Customer’s responsibility to pay for the return postage and handlings to the address provided by Smart eBuy. Beyond the warranty period for printer cartridges, Smart eBuy reserves the right, at its sole discretion, to reject the returns or charge re-stocking fees at any time for any reason without prior notice or liability. For the Customers wrongly ordered or changed his mind after delivery, Smart eBuy ONLY accepts returns in their original package and the cartridges in seal to the address provided by Smart eBuy. A replacement, a credit or a refund will be given to the Customer upon the received returns meeting the return requirements. For the faulty cartridges, Smart eBuy undertakes to provide the Customer a free of charge replacement, a credit or a refund. To enable a replacement, a credit or a refund for faulty printer cartridges, the followings are required. A print sample from the Customer. The cartridges returned without a print sample cannot and will not be investigated. The cartridges must be above the minimum weight stipulated by the manufacturer as being applicable for return. A list of these minimum weights is available on request. Any cartridge returned to Smart eBuy must be sent on a freight paid basis and accompanied by a return authority (RA) number issued by Smart eBuy. If the returned cartridges are found not to be faulty (with a print sample sent to the Customer by email), no replacement, no credit and no refund will be issued. Smart eBuy will notify the Customer whether to send the returns back upon receiving the freight charges from the Customer. Smart eBuy reserves the right, at its sole discretion, to deal with the returns if the Customer couldn't reply the notification within 14 working days. All brand names and the trademarks referenced in Smart eBuy are property of their respective holders. Smart eBuy has no affiliation with any manufacturer or OEM’s and nor has any arrangement been made with them to form the basis for any statement we make. Any and all use of brand names, pictures or model descriptions are made solely for purposes of demonstrating compatibility. Please note that due to the high volume of items listed on this website, there may be times when item names, pictures or descriptions vary from the actual product ordered. The information and data on this Site is subject to change without notice. While you register in this Site, you’ll be asked to provide your contact information in details. Your information securely stored in our database is only use for contact purposes so we can provide prompt services to you. Your information will not be disclosed to a third party. Each of your online payments via Smart eBuy is secured by a 256 bit encryption SSL transmission. If you think you’re suffered a secure problem related to the information in your account, please contact Smart eBuy asap.